Officers arrested Marcus Gunther, who they think is responsible for the 'MOOK' tags, on 13th Avenue on Thursday, Sept. 13. Police claim they have nabbed the man responsible for a notorious graffiti "tag" on an Interstate 84 overpass. 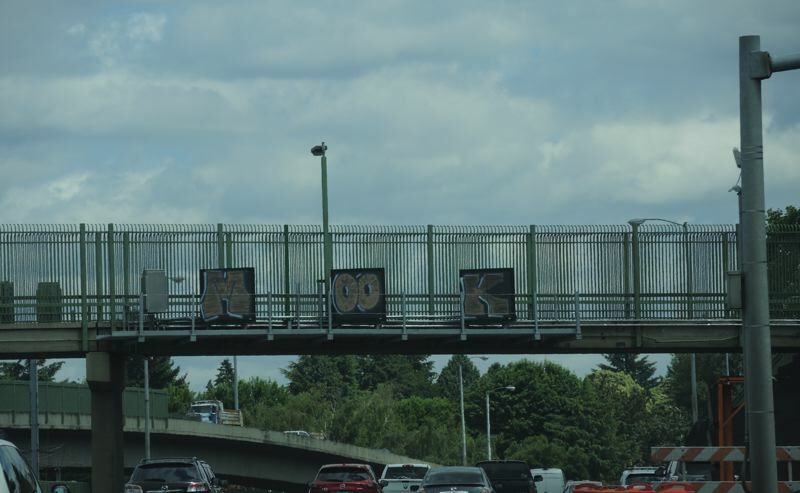 Motorists have zoomed past the letters "M-O-O-K" since they were spraypainted on three Oregon Department of Transportation electronic signs on the Northeast 42nd Avenue I-84 overpass on June 29. Officers say the damage to the sign and fence cost $24,910 to clean and repair. Police allege the tag was created by Marcus Edward Gunther, who apparently spray painted the same four letters on a U-Store Self Storage, 1520 N. Interstate Ave., on Sept. 6. Investigators say "M-O-O-K" is Gunther's tag. He was arrested on Thursday, Sept. 13, at the corner of Southwest 13th Avenue and Main Street, according to a news release. The 30-year-old has one felony conviction, three misdemeanor convictions and three parole violations, according to court records. He was charged with second-degree theft earlier this month, and last month faced 10 charges for second-degree theft and criminal mischief. Gunther's new charges are for first- and second-degree criminal mischief. His conviction history includes driving under the influence of intoxicants and possession of heroin. 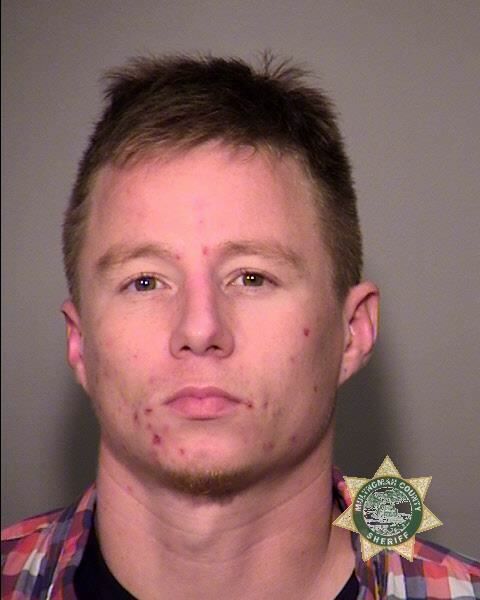 He told officials that he is not working and lives at home with his parents in Portland. Police believe there are more victims. Anyone with related property damage is asked to call 503-823-3333. Additional information about graffiti prevention, removal and reporting can be found here.